SportDog is one of the most reputed dog product brands. 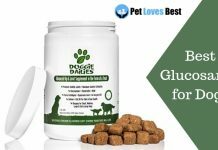 The brand which produces many dog products useful for dog training. Along with some accessories and toys as well. Moreover, the SportDog is the choice of trainers for many reasons which you will find in this SportDog review. The SportDog produces three major types of dog collars which include the GPS tracking collars, bark control collars and training collars. 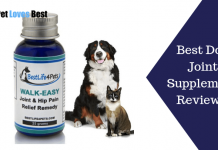 It is sufficient provision for the pet parents in order to train their dogs. These three types of collars have a different purpose and are used for different pieces of training. However, the GPS tracking collar is not meant for training the dog. Instead, it acts continuous location tracking device which the owner can see using the tracker remote. Therefore, we will start with the review of each of these collars from the brand SportDog. Starting with the first dog collar type, the GPS collar is one important collar for the Houdini dogs. 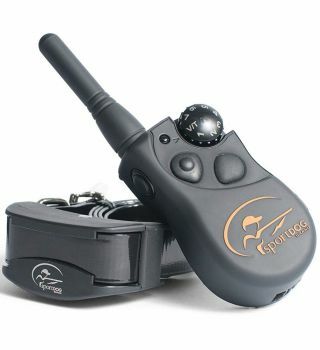 Moreover, the pet parents use the GPS collars for the guard dogs especially the escape artists. There are two variants of the GPS tracking collars with seven and ten miles of coverage capability namely the TEK 1.0 and 2.0 collars. Along with that, there is a TEK 1.5 collar an upgrade of the TEK 1.0 which covers a topographic region up to seven miles. As the matter of fact, these collars will fit the dogs with a neck size of 10.75 to 23 inch. 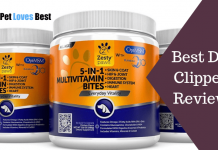 Additionally, the trainer version is suitable for all dogs above 8 months of age. 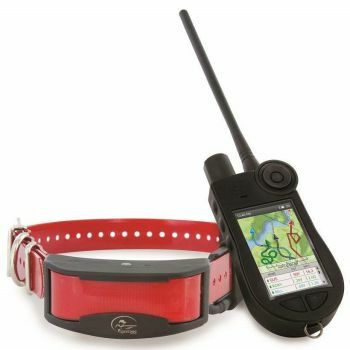 In fact, you can get the collar with only GPS function whereas another with the GPS and 99 shock level trainer collar. The version 1.0 of SportDog GPS collar is the premium dog product. 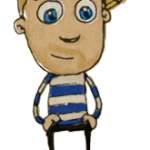 Its collar can send the signals to the hand-held device up to seven miles. 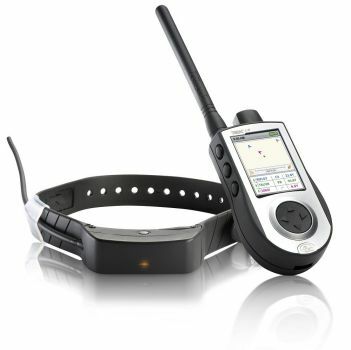 In fact, the GPS collar not only uses the GPS satellite navigation system but also the Glonass(Russian version of GPS). It helps you to locate the dog with better accuracy. The collar comes with the Drytech feature which makes the collar waterproof submersible up to 25 feet. Not to mention, the hand-held device is also waterproof and submersible into water up to 8 feet depth. Further, the collar comes with lithium-ion batteries which will last for 24 hours on a single charge. Also, the battery set will require only 2 hours of charging time to reach a full-charged state from dead. This collar has the most useful feature which allows you to pair the hand-held device with up to 12 add-on dog collars. 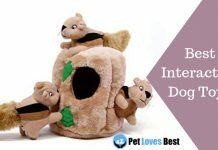 It is a great provision for the pet parents having more pooches especially the Houdini ones. Having said about the TEK 1.0 the apparent dog collar also has similar features. Instead, the TEK 1.5 comes with refined topographic maps which are more accurate and reliable. 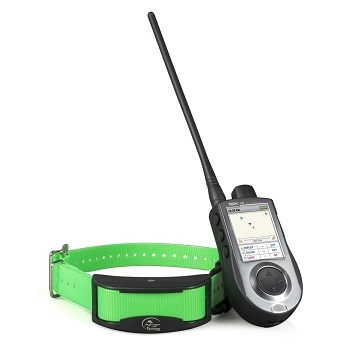 Coming to the super product from SportDog – the SportDog TEK 2.0 GPS collar, it locates the dog from a wider range and connects to more add-on collars. Apart from that, this collar comes with the similar 99 shock intensities. 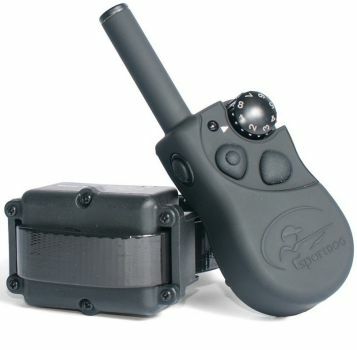 The SportDog TEK 2.0 comes with the wide range of tracking dogs up to 10 miles. In fact, its hand-held device can pair up with up to 21 collar devices. Additionally, the TEK-V2L devices are compatible with the TEK-V1.5L collar too. It means you can pair the hand-held device with the TEK 1.5 add-on collars. Not to mention, the apparent collar has the DryTek technology. It remains safe from water to 25 feet and the hand-held device for 8 feet. Coming to the trainer collars from SportDog, these SportDog collars are one of the best products on the market of training the dogs. In fact, the e-collars from SportDog have different models with shorter to wider range capabilities. Similar to the GPS collar’s DryTek technology, the e-collars can sustain water for up to 25 feet of depth. Field Trainer is the trainer collar series from the brand SportDog. It includes the collar similar to the yard trainers but with wider operating range and more impulse intensities. The 425 training collar focuses on the little-misbehaved dogs. Whereas the 425s focuses on the stubborn dogs who need a little nag to start taking commands. You have the option of choosing the camouflage collar which has a dusty rugged appearance. Moreover, SportDog wetland hunter 425 reviews feature the camouflage collar stating it to be something superior but it has a different appearance than the regular Field trainer 425. Further, the 425 collar series has a wide range of 500 yards which helps you to control even the outdoor dogs from inside the house. In fact, the 21 shock levels will be helpful in the open parks/streets as well. 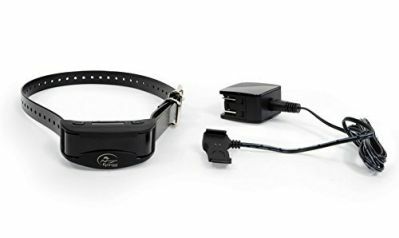 This collar will fit on the dogs with 5 to 22-inch neck size, its lithium battery lasts for days with just a two hour charge time. Along with that, its remote can pair with up to three collars and operate simultaneously. You can operate the Yard trainers from SportDog from a 100 yard to 300 yards range. In fact, the X-series collars come with the half-mile range. The apparent collar comes with similar neck size options i.e. 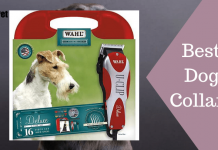 suitable for the pooches with 5 to 22 inch of neck size. Also, the waterproof DryTek feature is the same. Apart from the similarities, the apparent collar features the NiMH batteries which will last for about two to three days on a single charge. 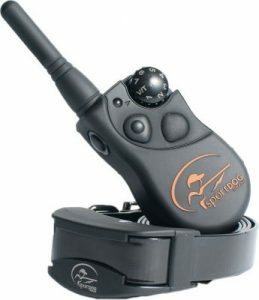 SportDog yard trainer 350 is the only Yard trainer which has the rechargeable batteries whereas the Sport dog 105s or 105 have replaceable ones. Only for that reason, the SportDog 350 reviews exceed the SportDog 105s review count on online shopping sites. Also, there are 8 shock intensities. Nevertheless, neither the SportDog 350 nor the SportDog 105s has any difference. Both of these have everything in common but its operating range i.e. 300 yards of the first collar and 100 yards of the latter. This is the hunter series which has the longest operating range compared to previous training collars. In fact, this one comes with the most intensities of impulse. The Sporthunter series is suitable for the hunter and hunters dogs. This training collar is also a similar build to that of the Yardtrainer and Fieldtrainer with a widest operating range. In addition to that, the SportDog 825 and SportDog 1825 has a half-mile range and one-mile range respectively. In fact, the Sport dog 1825 has 24 shock intensities and can pair up to 6 collars simultaneously. Not to mention, 1825 is versatile as per our SportDog 1825 because it also has the Wetland-camouflage version. On the other hand, the SportDog 825 are all about the regular long range trainer collar. 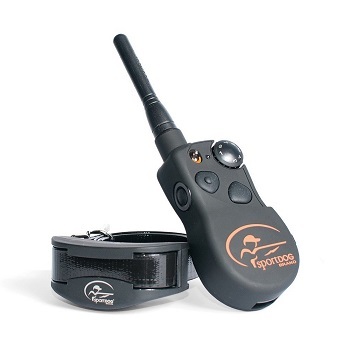 Lastly, we have the SportDog bark control collar reviews. Similar to the product categories we saw above, you can see the three products in this SportDog collar review. 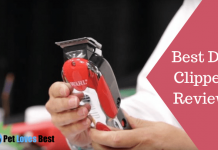 It includes the No Bark 6, No Bark 18, No Bark 10R, and No Bark SBC-R.
‘No Bark’ stands for the product line from the maker i.e. SportDog collars. Whereas the numeric value at the end of every product name described the shock intensity levels. For example, the No Bark 6 will have six levels of intensities, No Bark 8 will have eight levels and so on. On the other hand, the No Bark SBC-R has ten shock levels with the sleek design compared to the No Bark 10R. To cut the long story short, different models of the collars have nothing different apart from the shock intensities. In addition to that, the ‘R’ suffix at the end of the No Bark 10R and No Bark SBC-R indicated the rechargeable feature. In fact, the lithium batteries in the No Bark 10R and No Bark SBC-R can last for hours per single charge. All of us have known about the high price-tags till now but now that we also about the premium features of the SportDog collar, it will be easier to select a perfect collar for our pooches. 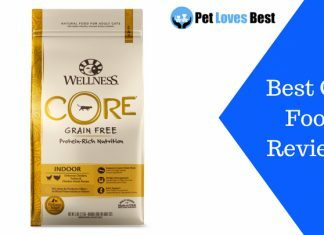 Tired of Fleas and Ticks? Check out these super cool Flea Control Collars! Next articleWhy Do Dogs like Squeaky Toys So Much? Uncovering the Mystery!